Description: When inactive, the weapon is simply hilt without a blade. 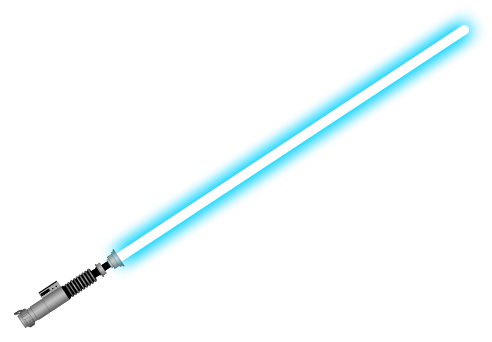 However, when the user activates it by pressing the switch on the hilt, a long blue mana blade extends. The blade is retracted when the switch is pressed again or if it loses its durability. It was made in Talaz Lagaar. Details: The hilt is 30 centimeters long and the blade is 1 meter long. The user must have at least 3000 Fame. The user's Fame must be at least four times their Infamy. Mana Blade: When activated, a 1 meter long blue mana blade extends from the hilt. This does not sap mana from the user and deals Wind-type magical damage instead of physical damage. The blade hums softly and makes a buzzing sound every time it is swung. Also, the blade glows in the dark, lighting up 1 meter radius around the user. Once retracted, the user must wait 2 posts before they can reactivate the mana blade. Effect: When the hilt is out of the user's hand, they may pull it back into the palm of their hand, so long as it is within the spell's range. 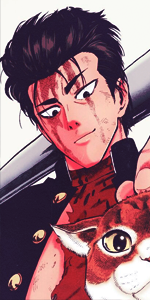 Hatsuharu has claimed the Blue Lightsaber.